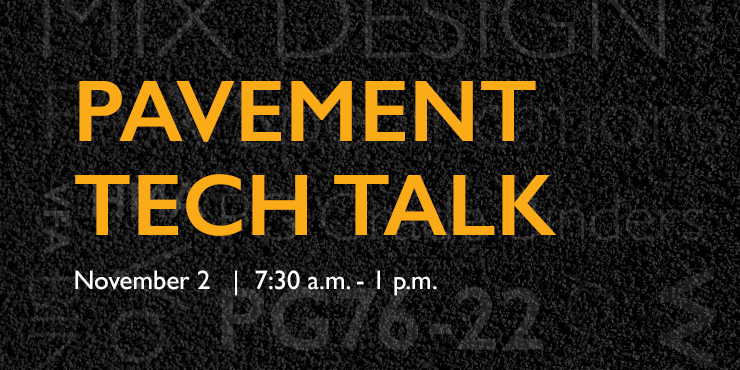 Pavement Tech Talk is exclusively for YOU! The talk is being held by invitation only. There are a limited number of seats available on a first-come, first-served basis. Please mail your RSVP early. Graniterock is pleased to offer a highly informative day that is absolutely FREE. You have been invited to be one of a select few to hear road materials experts deliver high-powered seminars that address issues, questions and situations you face on the job everyday. Optional tour for Redwood City plant at 1:00 pm.